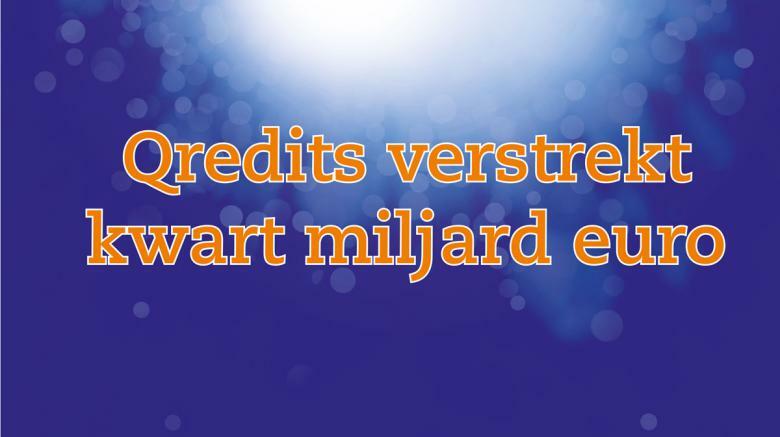 Almelo, 3 April 2018 - A record has been set among alternative financiering parties: Qredits has provided over a quarter of a billion euros in business loans. More than 12,000 starting and existing entrepreneurs have already been helped so far. A huge milestone for the non-profit lender! € 50,000. Of the remaining funding, 20% was granted as an SME loan (up to € 250,000) and 5% as flexible loans (current accounts). 63% of the entire portfolio are starters. Since 2015 the number of existing entrepreneurs financed has increased. More than 44% of lending goes to existing entrepreneurs. This share is about the same for the SME loan recipients. Most of the Qredits loans go to entrepreneurs in the restaurant/catering business, retail and business services. These three sectors are most popular when it comes to applications for Microcredit, SME loans or Flexible credit. The latter one, Flexible Credit, is of great added value. Since the product was launched more than 1,400 Flexible credit loans have been provided. With this working capital product Qredits offers entrepreneurs the opportunity to temporarily create more financial breathing room. In 2009 Qredits started with four employees and microcredit loans up to € 35,000 in Almelo. Almost ten years later over 75 people now work at Qredits aiming to make entrepreneurship accessible to everyone. The amount of credit has also grown, microcredit up to €50,000 and SME loans even go as high as € 250,000. In addition to loans various services and products have been developed over the years for customers and non-customers. All based on the needs in the market and the demand from entrepreneurs. In addition to the loans that the social enterprise provides Qredits also offers coaching and tools from the Academy. Over the years the pool of voluntary coaches has grown to no fewer than 650 coaches. Together they have provided more than 6,000 coaching trajectories for entrepreneurs in general, not just Qredits customers. Qredits vision is not to make a profit, but to help entrepreneurs make a profit.